B my Guest is for those looking for affordable accommodation without sacrificing comfort. Conveniently situated 2 km from the town centre and within walking distance of the Lagoon Walkway, B my Guest is an ideal spot from which to explore this prime tourism area with all it has to offer. The eight self-contained, cottage-style units are built around a swimming pool and have their own entrances with patios overlooking a communal garden. Some have ta private, enclosed garden area with views of the lagoon through the trees, individual built-in braai&apos;s and patio furniture. All units are fully equipped and include small TVs, galley-type kitchenettes with undercover fridges and stoves, and wall heaters. Each unit features a shower or a bath, and all linen is provided. Guests also have access to safe, off-street parking. Year on year we stay here to complete the marathon. Always happy, especially with the cleanliness. 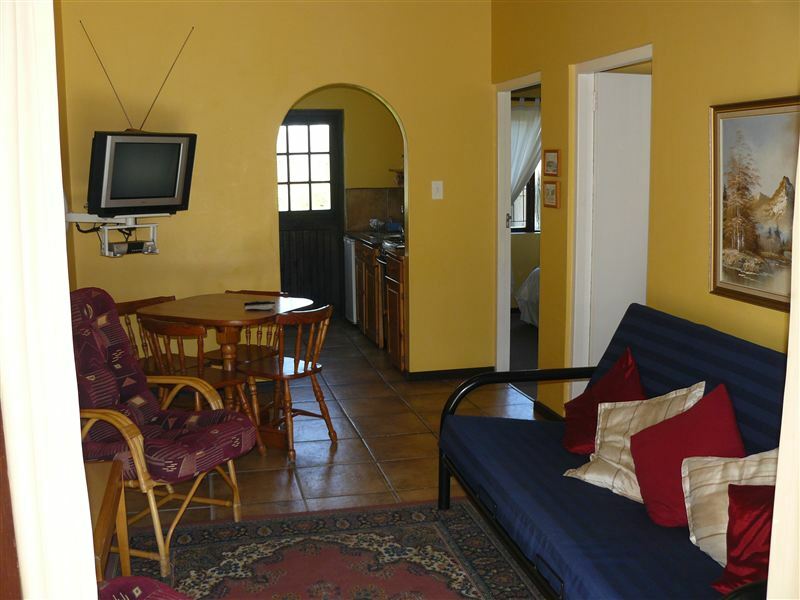 Awesome accommodation for self catering. Clean rooms friendly and helpful accommodating staff and owner. Nice. Only complaint is the WiFi. It doesn't work most of the time and when it does work - it is really really slow. Wow ...You cannot go wrong with Be My Guest!!!.... Amazing affordable accommodation, friendly service.I am from the City of Cape town and My family and I think that its well worth the long drive to Be my guest Knysna . Quiet and tranquil yet everything you need is close by....You rock Be My Guest!!! Great place to stay. Rooms a little cold, could do with heaters although it was very spacious. great stay, very friendly service. clean and neat. very affordable and great value. We stayed at B my Guest on 13 and 14 July, the weekend of the Knysna Marathon. Two couples stayed in a unit that could accommodate six people (the extra two on a sleepercouch).Our first impression was that the pictures of the guest house online did not reflect reality. Our unit had the distinct feel of a converted maid&apos;s quarters. The towels we were given were tiny and threadbare, no handsoap was provided in the bathroom until we asked for some, and three chairs were placed around the dining table, despite the fact that the owners were aware that there were four of us (and the unit had capacity for six people). All this irritated us only slightly until we tried to make tea and realised that the mugs had not been washed prior to our arrival, and were soiled with old coffee and sugar. This is totally unacceptable in any establishment, much less a three-star one.And all this for R375 per person per night? What a joke. We will certainly not be returning. Request a quote from B my Guest at no obligation. Pets are permitted at B my Guest. Prior arrangement is essential. Contact the establishment to confirm pet types and sizes allowed.